Mix all the sauce ingredients and set aside. In a large skillet or wok, heat oil over medium high heat. Add pork; cook in small batches, turning to brown both sides. Remove to plate. Add bell pepper and saute 2-3 minutes, then add the rest of the vegetables, garlic, and ginger. Saute 2-3 minutes more. 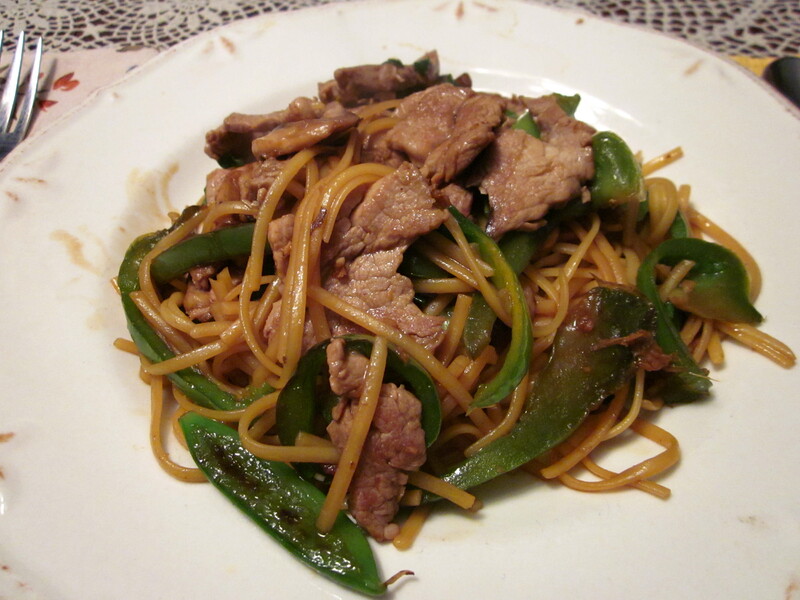 Add cooked linguine, pork, and sauce; stir fry until heated through, 1-2 minutes. Serve immediately. Serves 4-5. I found a great food calculator online that enables me to determine this info.